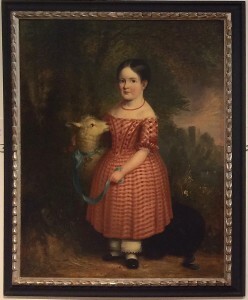 On Saturday 12th April 2014, the painting by Abel Hold, entitled “Girl with a Lamb” and dated 1842, was unveiled at Cawthorne Victoria Jubilee Museum. As Hold lived and worked in Cawthorne for over 40 year, the volunteers at the museum were delighted to receive it. Over the winter, when the museum is closed, they spent time creating a special spot to display it. It now has pride of place hanging in the reception area. The work was donated thanks to the generosity of Tim and Bunny Midgley who live in Australia but have roots in the village and connections by marriage to the Holds. BAYD became aware of the painting when it came up for sale in America and were able to help Tim to import it into the United Kingdom by taking delivery in Barnsley. We were all very excited when an enormous packing case arrived. The Midgleys visited England soon after this and were delighted to see their painting. Soon after the unveiling, BAYD were able to borrow the painting from the museum. Between June and August 2014, it was displayed as part of our Hidden Art of Barnsley Exhibition at the Cooper Gallery Barnsley. 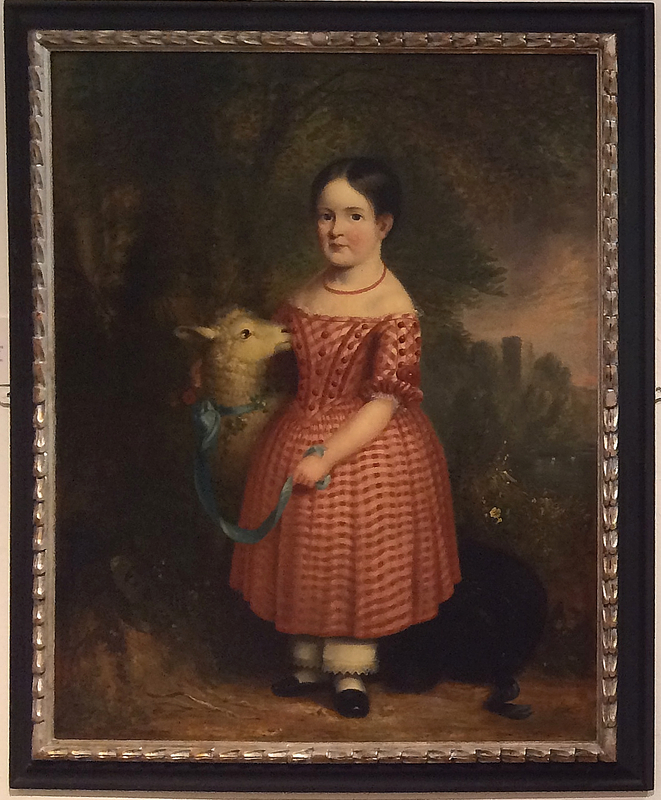 We were curious about the little girl who is the subject of the painting so we did some research. Looking at another painting by Abel Hold, we believe that the building and water in the background are of Rockley engine house and dam. This led us to believe that the child might be a member of the Clarke family of Silkstone or the Vernon Wentworths of Stainborough. More research required!